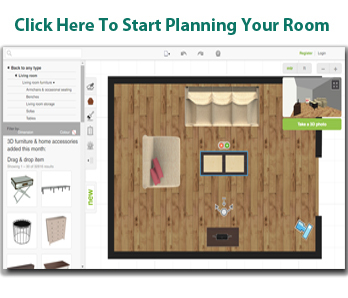 Interior designing just got easier with Lucas Furniture & Mattress online room planning software. This interior design and floor planning software is yours to use for FREE. Our software features design templates for you to start working with, or measure your own room and lay it out to scale. Just type in your room dimensions, add or remove walls, and start dragging furniture into your room. Also look for a selection of kitchen, gym, home theater, garden, and other house hold items to help your planning. You can also add flooring textures to see how room transitions might affect furniture placement. Need additional help? Come in for our Complimentary In-Home Design. Don't forget, our new wish list system allows you to create wish lists by room, style, or any other groupings you choose. Utilizing the room planner and the wish lists, you can bring your dream space to life with Lucas Furniture & Mattress!